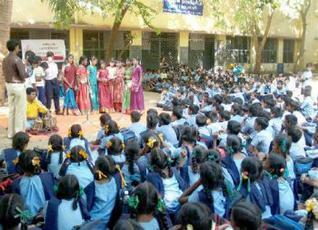 Nalamdana’s Theatre Training Camps are for college and school students as well as community groups. 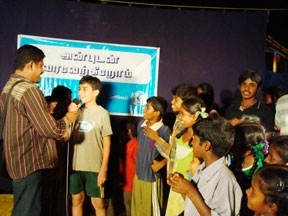 Nalamdana’s core team of experienced actors trains young people in using theatre as tool to address social and health issues. 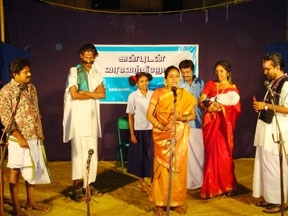 Nalamdana held monthly role plays and full length drama’s at the largest Government hospital for TB and HIV, The Government Hospital for Thoracic Medicine in Tambaram. 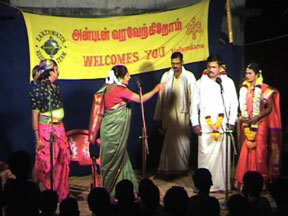 A component of this project evolved into our Thendral Community Radio project. 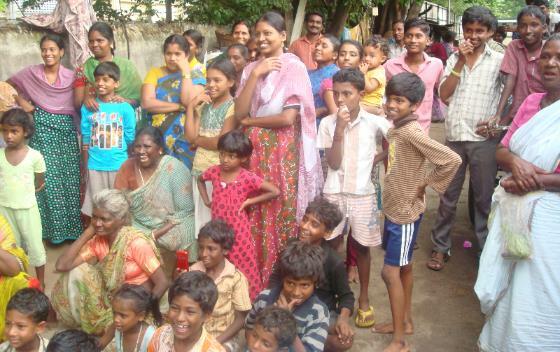 In partnership with Earthwatch, Nalamdana undertook a unique partnership to create multidisciplinary teams addressing malnourishment in the Chennai’s slums and nearby villages. Nalamdana developed a suite of scripts, a training kit with interactive materials such as video, audio tapes, jig-saw puzzles and games and also offered theatre training for partner organizations. 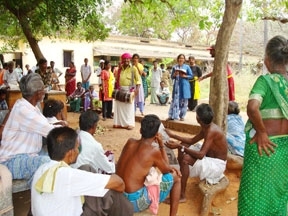 Between May and September 2005, Nalamdana performed Nambikkai (Hope) and provided counselling in more than 30 cities, towns and villages on the coast of Tamil Nadu affected by the 2005 tsunami.